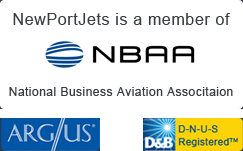 Newport Jets is a top private jet charter company serving Cleveland, Ohio. Our team of Cleveland private jet charter specialists are pros at scheduling and creating private jet travel flights in and out of Cleveland. We are ready and waiting to provide first class local jet charter services to Cleveland – and to create the perfect private, luxury travel experience. We not only handle your flights but our professional concierge team can recommend wonderful places for you to stay in Cleveland. We have a large selection of Cleveland aircraft including the luxurious Gulfstream G550 to the Learjet 31; Newport Jets has just the right private jet aircraft for your travel to and from Cleveland. Our charter jet team specializes in booking jet charter flights to and from Las Vegas, Miami, New York, and Los Angeles. Cleveland, Ohio, is the country’s 14th largest city and sits on Lake Erie. The city is known for the individual character of its diverse neighborhoods. Cleveland is also home to internationally known cultural institutions and outstanding museums, including the Rock and Roll Hall of Fame, the Cleveland Museum of Art, Cleveland Orchestra, and Playhouse Center Square. Cleveland has more golf courses per capital than any city in the country. The city has been called “Comeback City”, due to the continued revitalization the city continues today. Cleveland’s downtown is beautiful and clean with several great areas around the Cuyahoga River which includeTerminal Tower, the Flats, Warehouse District, East 4th neighborhood, and Playhouse Square . Cleveland is still an industrial base city, but it has also grown in other fields including, finance, insurance, law, real estate development, and other professional fields. There are four new sports complexes in Cleveland’s downtown, Progressive Field, for major league baseball, Quicken Loans Arena for the NBA Cavaliers, and the Cleveland Browns Stadium for the National Football League. For tops in Midwestern hospitality and charm the Ritz Carlton in Cleveland is elegant but relaxing. The hotel is Cleveland’s only four-star downtown hotel. The hotel boasts wonderful views of the Cuyahoga River, downtown Cleveland, and Lake Erie and has indoor walkways to Tower City Center for dining, shopping, movies and Quicken Loans Arena.